Nothing is more gratifying to a grain farmer than when the crops have been harvested and the fruits of the labor are completed. In an ideal world, this final act would be so simple. However, the cost of equipment, the labor it takes to complete the harvest and the uncertainty of the weather also makes it a huge challenge for a lot of farmers. Yet there is a viable option that will take care of all of these concerns: U. S. Custom Harvesters, Inc (USCHI). USCHI (www.uschi.com) is an organization established and chartered in 1983 that serves as a link between the harvesters and the many groups of people they work with, such as farmers, businesses, State and Federal Government. Members include both individual and family operations that work as independent contractors to handle harvesting operations, often times for the same farmers each year. 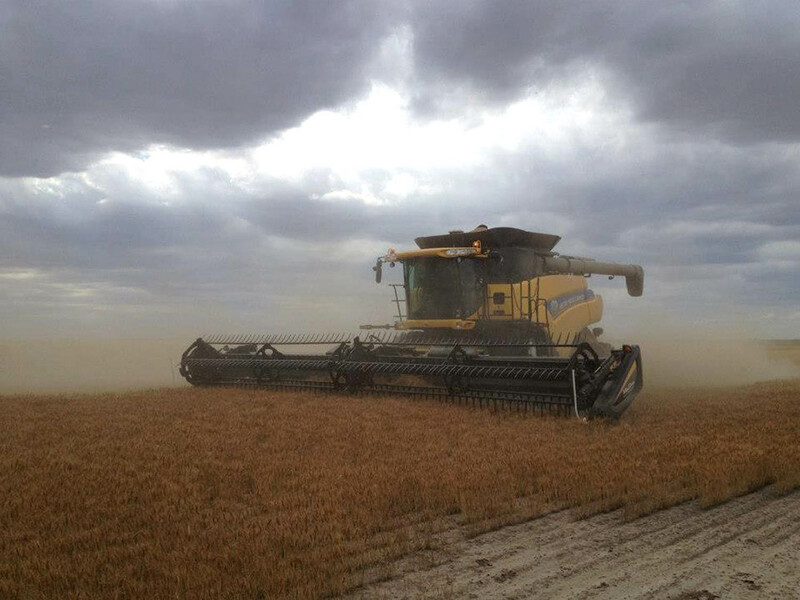 Custom harvesters can be found throughout the country. Some will do custom harvesting in their local area or state, while others will follow the tradition that was established way back in the midtwentieth century of following the harvest all the way from Texas to the Canadian border. If completing an entire harvest season, the custom harvesters can be gone 6-7 months at a time as they work their way northward. 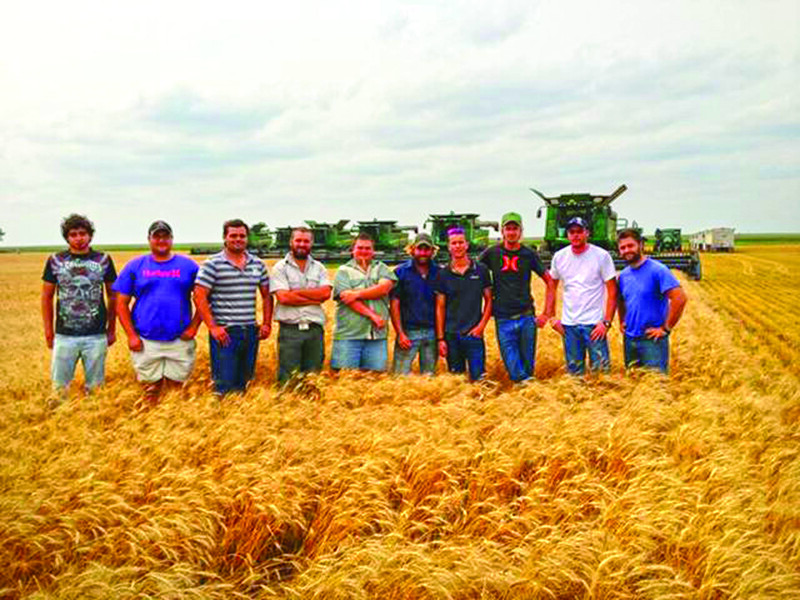 When the wheat harvest is completed, many harvesters will then turn their eye toward harvesting corn, soybeans, milo, sunflowers and other crops. 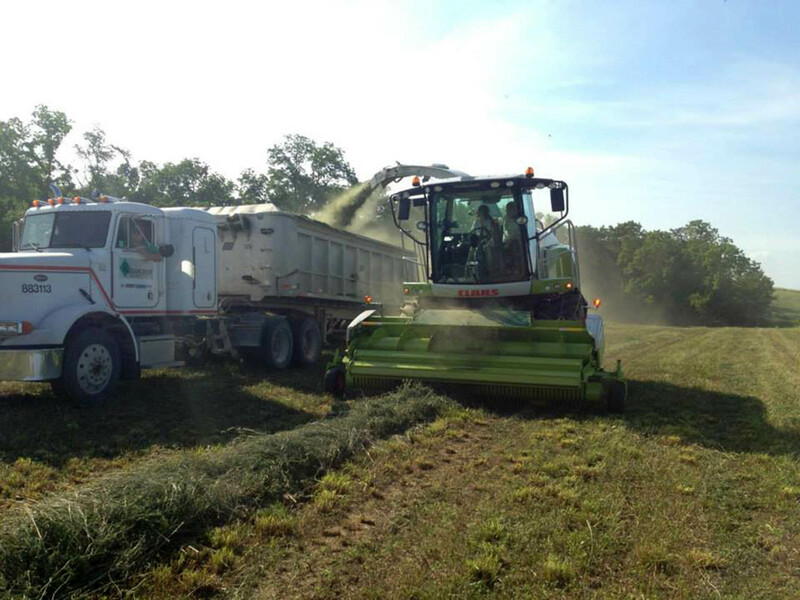 In recent years, harvesters have branched out into taking care of forage crops for farmers, including a variety of grasses and alfalfa crops, along with corn silage and sorghum harvest. As a result, custom harvesters have the ability to help grain farmers, cattlemen and dairymen with whatever crops that need to be harvested. ABOUT U.S. 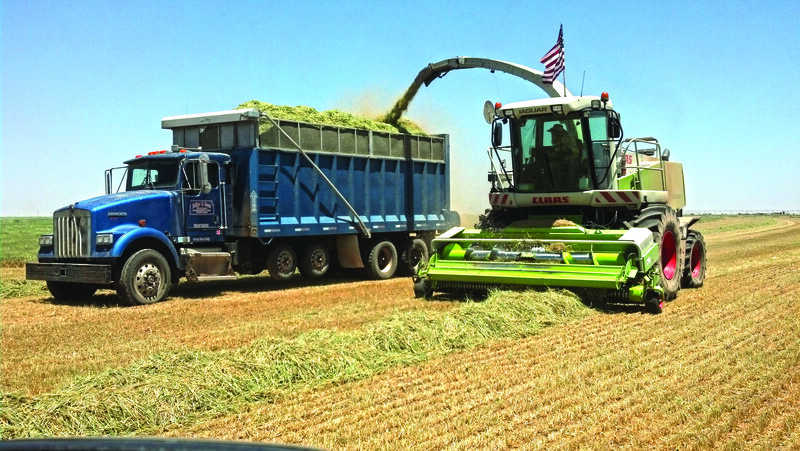 CUSTOM HARVESTERS, INC.
combine, forage, hay and cotton. This organization also includes related businesses and associations in the industry: equipment manufacturers, implement dealers, tire and tool manufacturers, insurance companies, advertising entities and many other related businesses. meeting and trade show. Members have the opportunity to exchange ideas, keep up to date with the profession, offers potential work opportunities and covers industry issues. It is a dues-funded, membership organization with the Harvest News magazine as a primary means of communicating with members. “The Great American Wheat Harvest” is a documentary film that tells the story of hard-working custom harvesters who travel from the heart of Texas to the Canadian border harvesting the wheat that feeds the country and the world. It is a documentary film that tells the story of five hard working families and crews who travel the country harvesting that golden grain that as the film’s producers say, “feeds our Great Country and the World”. Produced by award winning director and producer Conrad Weaver, the film is now touring the nation since its premier at the National Museum of the American Indian in D.C. on National Ag Day this past spring. The documentary depicts the lives of the custom harvesters as they pack their bags, stock their RVs, load their crews and families into their trucks and head south for their annual 6-7 month journey that involves hard work, hot weather and the relationships that evolve day to day, month to month and year to year. It shares their love for what they do with the knowledge that they are an important part of feeding a growing international population. The story captures the history and drama of the custom harvesters of the past and also shares the challenges that are now threatening that way of life passed on from generation to generation. For more information on the film visit greatamericanwheatharvest.com. If interested in purchasing a copy of the film, DVDs can be purchased for $15 plus shipping by contacting the USCHI office. U. S. CUSTOM HARVESTERS INC.